One of the first roles of Tsundere-type cast Rie Kugumiya with brilliant animation for the time launched itself from Light Novel to Manga to a 3-season anime plus multiple OVAs and movies. Shakugan no Shana wasn’t anything especially new, but it was flashy, well written, well told, and exciting. Unfortunately, its releases were spread out, the U.S. releases were even more delayed as a result of Geneon leaving the U.S. market, and were eventually met with a lukewarm reception on the FUNimation Network in 2012 and Blu-Ray/DVD release shortly thereafter. Even the English Dub was redone for later seasons after FUNimation acquired the license from Geneon when they were rescuing anime titles that would have, otherwise, been lost to the western marketplace. Shakugan no Shana’s pacing may as well have been a perfect reflection of the rocky release schedule. Sakai Yuji, the lead character, learns that he’s dead in the first episode and begins following Shana around, begging for answers. Shana tells him that he’s no longer human, just a torch that contains a treasure inside it. Not all torches have treasures, but Shana and the God of Atonement, Alastor who grants Shana her power, opt to leave Yuji’s treasure in place, worried that withdrawing it could cause a calamity as others have in the past. In this fantasy world, Denizens from the Crimson Realm feed on the power of existence inside humans. In doing so, the human is consumed and ceases to exist and anyone who ever came in contact with them forgets that they even existed, had relationships, and so on. They even vanish from pictures, like in Back To The Future. Flame Hazes, what Shana is, protect the human realm by creating barriers to protect the areas where they fight the Crimson Denizens and then restore the area by using their power of existence. But they can’t undo death. What they can do is put a torch inside that person. The person will continue existing, but will be void of personality, dreams, and aspiration until his or her torch extinguishes. By coming in contact with Shana, Yuji is now able to see the torches. To his dismay, his crush Hirai died and has been replaced by a torch. Though Yuji does everything he can to force his friends to remember who Hirai is, she eventually begins to vanish only to be possessed by Shana, who basically saves Hirai’s existence, acting as her in the eyes of everyone who is unaware of the war between the Flame Hazes and Denizens. Yuji refuses to go quietly into the night as a torch. He becomes determined to get stronger, to leave his mark on the world even though he’s unsure how to do that. He becomes confused about his own existence and what it means for his and his mom’s future, and struggles to accept that, once his torch fizzles out, he will no longer have existed – ever. Fortunately, the focus of the series isn’t on Yuji’s internal struggle with life, death, and existence. Instead, it entertains us with flashy action, colorful characters like Margery Daw and her contracted God Marcosias, and a wealth of other themes ranging from slice-of-life drama, romance, love triangles, and the promise of an all out war between Denizens and Flame Hazes. Shakugan no Shana is best consumed in two portions: Seasons 1 & 2 plus the OVAs released prior to 2012 and then, if you are really daring, Season 3. Seasons 1 and 2 are phenomenal. They shine brightly. Whether it’s the fast-paced, fluid action sequences or the softly laid dialogue that slowly progresses the love themes, Shakugan no Shana captivates your heart with its splendor. The first half of Shakugan no Shana is very reminiscent of Slayers, another series directed by Takashi Watanabe, but with less of a “monster of the week” feel. The action, romance, and slice-of-life elements are well balanced against each other. As each character grows and finds his or her place in the world, they push and pull at each other, but never fully rip their relationships at the seams. Watanabe walked a very fine line with the first half of Shakugan no Shana and the diligence and care with which the series was written paid off with a beautiful story full of interesting characters, driving action, and deliberately laid plot driven by mystery, character growth, and passion. The first season entertainingly lays the groundwork for the more complex themes and scenarios encountered later. It gradually builds onto the terminology and plot while still showing Yuji’s strengthening through training with Shana. Relationships grow and push the plot just as much as the imminent destruction of Misaki City. Various elements and characters are introduced at appropriate times, providing mystery to fill lulls in the action. Even back story is provided in small doses and at the right moment. The vast world created within the Shakugan no Shana universe gradually unveils itself, never imposing. The latter half of Shakugan no Shana is a complete disconnect from the first two seasons. Instead of kicking off with action as previously done, season three starts with dialogue and recaps, which is never a good sign. Even so, I held on. I waited for the action. I waited for the character growth. I waited for the plot to pick up. The action came and went quickly during the first half of season three. Instead, I watched a lot of new characters talking vaguely about their plans. This went on for a while. Even during the action sequences, there was generic dialogue with one character saying things like “I’ll get you next time!” or “I’m going to put a stop to your plans!”. Generic lines were almost always followed up with more vague discussions about what was going to happen. Meanwhile, I was still waiting for things to happen. Around the tenth episode of Season Three, I realized that nothing made sense. I thought that, certainly, I missed something after waiting so long to acquire season three that I had forgotten important characters from seasons one and two. I re-watched all of Shakugan no Shana, taking notes. To my dismay, most of the season three characters had never even been so much as mentioned in the earlier seasons. 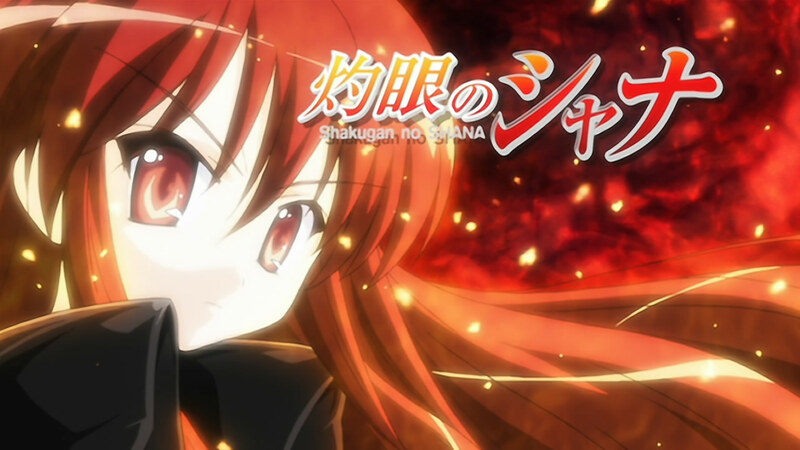 Even characters who were “so dear” to Shana had never even had their names spoken until season three. I was always aware that there were other Flame Hazes and that there was a network of humans and Flame Hazes who provided an information network known as The Outlaws, but I had never really gotten to know any of them. I never needed to until Season Three. While, I think it’s great that they didn’t introduce too many characters in the first half, I still think there’s a better way to introduce them than how it was done in Season Three. Just throwing characters haphazardly into a story is reckless. I didn’t care about any of them! Several died and I didn’t even care. I think I was supposed to care, but it’s tough to do that when they’ve just been, for lack of a better word, in the way for over half a season. There were many characters that I could have seen myself liking, if they had been given proper screen time and development. This just added to my disappointment. If only the new supporting cast had been given the proper treatment. What happened to the good writing? Where did it go? One of the few diamonds in the rough was the conclusion of Margery Daw’s story, among other side characters. Amidst all the fail, there were a few moments that made my heart pound and eyes water. There was still some good left in the series. It was just buried under all the crap. It’s very difficult to talk about Season Three without mentioning Yuji’s involvement. But, you have to see it to believe it. Originally a complex character, Yuji fills a generic roll in season three, much to my disappointment. He went from being a well-developed main character built on growth and determination, to being so headstrong that he forgot how to talk to people. After he finally explained what was going on, I understood why he was so determined to forge his own path, but it still didn’t make any sense. After two seasons of him telling Shana to rely on him and to let him rely on her, it was too forced to take his character in such a polarizing direction. Speaking of talking to people – the entire conflict of season three could have been resolved with a few people just talking to each other and saying what their intentions were: namely Yuji. But I guess that wouldn’t have been as interesting as a massive war with tons of characters no one cares about fighting each other. Or would it have been? I think I would have rather watched a shorter, more direct story than what I witnessed. I would have enjoyed it more if all the new characters weren’t just tossed into the story to be generic plot devices. Zabrac was one of the coolest characters in Shakugan no Shana, even though he was a villain. He was one of the strongest and most difficult enemies Shana and her group faced on multiple occasions. I was greatly disappointed with how his story ended. Again, this was another strong-willed character that was capable of forging his own path but fell by the wayside in order to prove how strong The Snake of the Festival was. We already knew The Snake was strong. There was no reason for Zabrac’s story to end the way it did, especially after all the build up for two seasons. Hecate’s story followed a similar path. Though she was strongly developed in season two, given emotions and a past which should have continued resonating within her (as it was hinted at near the end of season two), she became flat, boring, and the exact same as she was when she was first introduced, only with less curiosity. She, too, existed to fulfill a plot device. Speaking of plot devices, Yoshida’s, one of the supporting characters and third leg of the love triangle, story fell victim to the tide as well. Even clearly defined rules and stipulations for the use of a treasure that had been given to her was undermined for the sake of preventing plot holes. It’s as if the writers couldn’t figure out how to end the series tightly without making it convoluted. The animation took a dive as well. The crisp, beautiful action sequences look muddy and flat compared to the brilliance of seasons one and two. My main gripe is that Shana’s wings no longer glow. They are just shapes filled in with a slight gradient. It’s pathetic. What’s worse is that her wings were animated correctly when the season started. It was over time that everything looked like garbage. As the series went on, it looked worse and worse. What happened to the high production quality of Season One or the decent production quality of Season Two? I have to digress here. The animation flat out pissed me off. I have no nicer way to say that. Here’s a spoiler free example of what bothered me with just part of the series. I’m still not over it yet. A few Flame Hazes crash a gigantic floating island into the ground. While standing on the surface of the slowly sinking island, rocks that look like small boulders are falling from the sky: ABOVE THE ISLAND. In a wide shot of the scene, there are no rocks falling. The characters are also not standing under any buildings that would have been crumbling. Where did the rocks come from? Part two of the same scene: the floating island falls into a rocky desert. In the next episode, it is snowing with no explanation. The snow continues for many episodes and the mountains in the distance are now caked in snow. Many episodes later, as two new generic characters are flying toward this area, they fly through the desert and find the battlefield underneath a huge swirling black cloud – but no snowstorm. Later the snow is back only to be replaced with rain (and that’s actually explained) to distract enemies. Seriously? If it was that cold, wouldn’t it just be snow or sleet anyways? I just chalked this one up to “fantasy setting” and “Gods are involved” rather than trying to think about it too much. After the rain stops, though, it’s sunny. No more snow. Yeah. Most of Season Three was like this. Whether it was poorly animating Shana’s wings or messing up environments, it felt like the production took one shortcut after another. Shakugan no Shana Final is a mess. It lumbers forward with shoddy pacing, poor character development, and terrible script. Sure, it resolved all the themes of the series, but was it done in a way that anyone would have wanted to see? Probably not. The beauty of Seasons One and Two became a distant memory after watching Season Three. I’m not sure I could ever watch them again, knowing what I know now. The first half of Shakugan no Shana was always a little nostalgic for me. I was worried that it wouldn’t hold up to what I remembered, what I hoped to see after revisiting seasons one and two. But they did! They were amazing and still captivating. I watched them critically, looking for things to pick apart, wondering if my nostalgia was the only thing keeping seasons one and two in such high regard. But it wasn’t. Seasons one and two are incredible. They tell a fantastic story with some age old premises flawlessly. But Shakugan no Shana became garbage overnight when I got to Season Three. It was one of the most disappointing conclusions to an anime I have ever seen. That’s really saying something considering they wrapped up all the primary, secondary, and tertiary plot points. Even at the pinnacle of Shana and Yuji’s romance, all I could think was “finally”. The resolution of the war was lack luster and boring. For three seasons of build-up, I expected more than just an “ok. that’s it” moment at the end.